2018 is the UK government's Year of Engineering, which celebrates the world and wonder of engineering with a focus on developing interest from young people. At CAI, the development and training of apprentices and trainees is a key part of the growth strategy..
"As with many other engineering and manufacturing companies, we identified that we have an ageing workforce and needed to invest in apprenticeships and trainee schemes to develop the engineers of the future," explained Gavin Roberts, CAI's Managing Director. In June 2017, an article in The Telegraph reported that 1.8 million engineers will be needed by 2025. It is widely considered that the manufacturing and engineering sector need to take more proactive action to promote engineering as an exciting career and offer more opportunities to young people. Presently, CAI has four trainees on apprenticeships or training programmes and we spoke with them to find out why they decided to pursue a career in engineering. 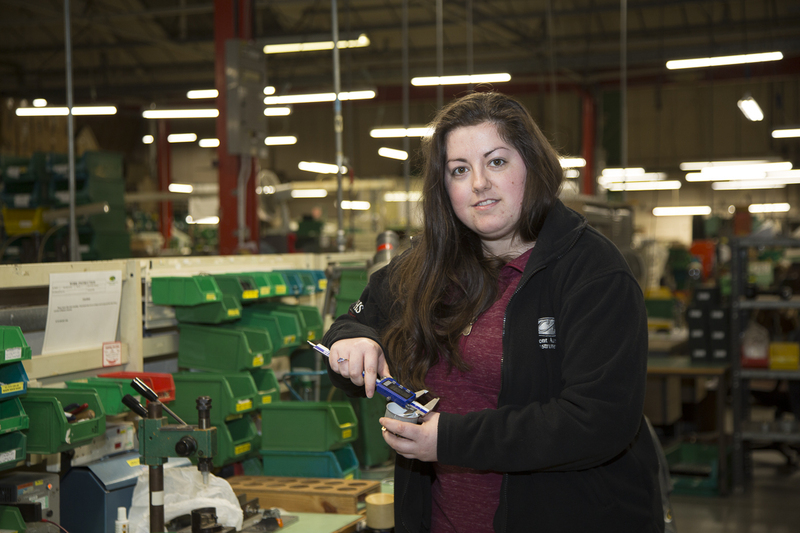 Amie is an Apprentice Design Engineer and joined CAI in 2013. She has a long-standing interest in engineering. "My Grandfather was an RAF Chief Technician and would tell really interesting stories about his experiences in engineering. I have always been inquisitive and wanted to discover how things go together and work," explained Amie. Amie left school after attending Sixth Form in 2010 and took a 1-year Performing Engineering Operations (PEO) NVQ Level 2 at Neath College. This was followed by a 2-year National Diploma in Engineering. After searching for opportunities in engineering, Amie joined CAI where she worked in welding and braising for six months before joining the apprenticeship scheme. Amie started a Swansea University foundation degree in engineering at Neath College in July 2017. "At CAI we often bring history back into the present when we have a new project to resurrect historical gauges. It is fascinating looking back at the old designs and seeing how these can be modernised without losing the original SMITHS identity." Lewis is an Apprentice Design Engineer who was drawn into engineering by the challenge of creating and designing new products. In 2013, he read an online advert for apprentices posted by CAI and successfully applied. 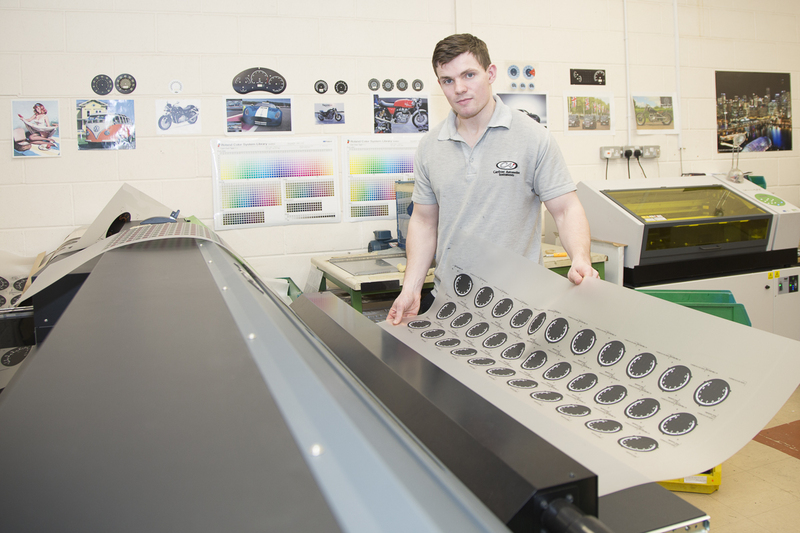 Initially, Lewis started in production before progressing onto the apprenticeship scheme. As part of the apprenticeship, Lewis attends Ty Coch, Gower College one day a week where he is in the second year of a 4-year Performing Engineering Operations (PEO) NVQ Level 2. "Since I started with CAI there has been a lot of investment in new machines to improve production efficiency and quality. It is exciting to be part of a successful engineering company." Amanuel is an Apprentice Assembly Line Engineer and joined CAI in April 2016. His interest in engineering started when he was 14 years-old. "My Grandfather was a car mechanic and ran a garage. I really enjoyed being in the garage with him, watching him work and helping when possible," said Amanuel. Amanuel is also studying at Gower College on the same Performing Engineering Operations course as fellow apprentice Lewis. When working at CAI, Amanuel uses a wide range of machines and fitting tools as part of the gauge assembly process. However, there is one set of gauges that he particularly enjoys assembling. "My favourite gauges are those for classic Aston Martin cars." Curtis originally joined CAI and operated machines including the CNC. After speaking with friends who were pursuing careers in engineering, Curtis spoke with Gavin about his desire to develop his engineering skills and progress within CAI. Presently, Curtis is in the 3rd year of a 4-year Performing Engineering Operations NVQ Level 2 course at Ty Coch, Gower College. 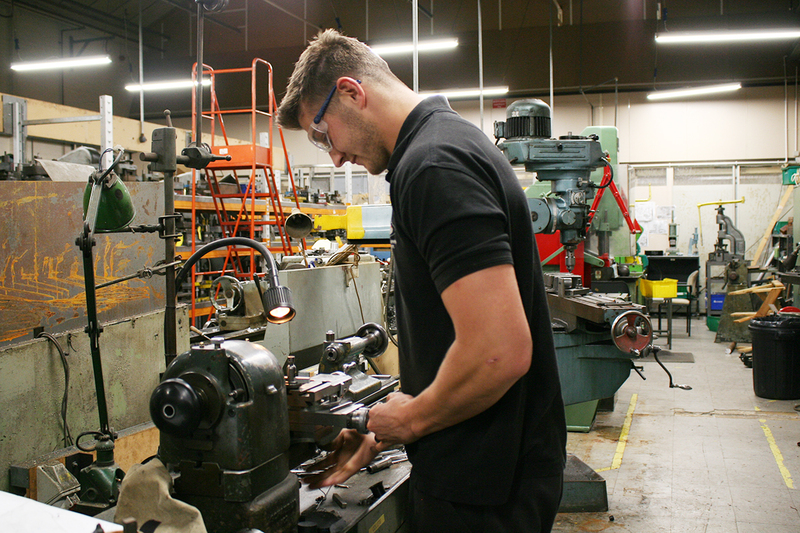 At CAI, Curtis is gaining experience of operating lathes, milling machines and grinders, as well as changing press tools, as a fundamental part of the general training CAI give to all apprentices and trainees. This provides awareness of the wider manufacturing processes involved in creating gauges for cars such as the Jaguar XKSS. "Being involved in manufacturing classic SMITHS gauges is very special," said Curtis. "I particularly like the gauges we manufacture for the classic Mini and Land Rover, both of which have a fantastic British identity. Those gauges are sent to car enthusiasts all over the world, which is pretty incredible." All the CAI apprentices and trainees get the opportunity to work on all stages of the manufacturing process. On completion of their initial training, they then specialise in one area. "It is important that everyone going through our training programme experiences assembly, design and even shipping. This ensures that they have a rounded understanding of who we are and how we operate," explained Gavin. "And training does not stop there. We also have a general training plan for all employees. In 2016, we were proud to be awarded the Investors in People Standard and continue to look at ways to develop our employees."